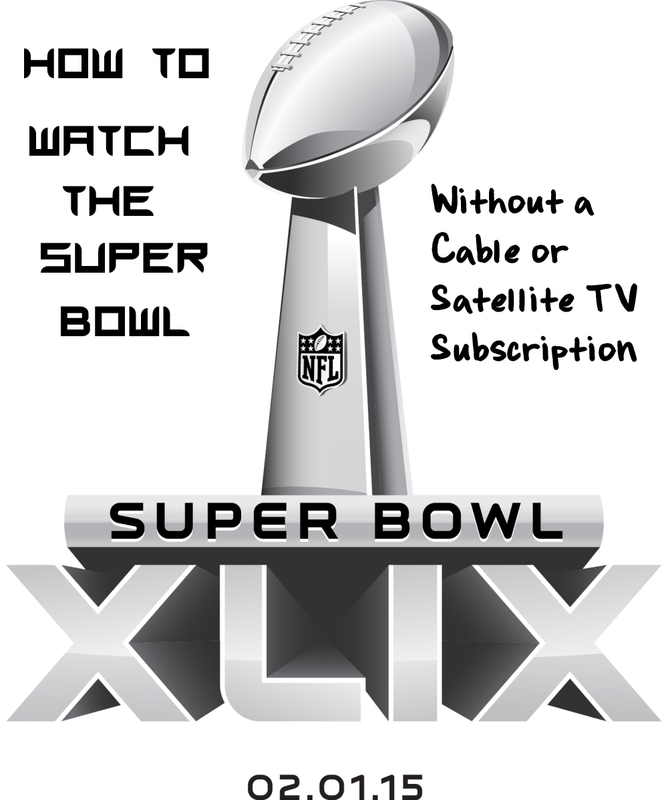 Wondering how to watch the Super Bowl if you’ve cut the cord and canceled your cable or satellite TV subscription? 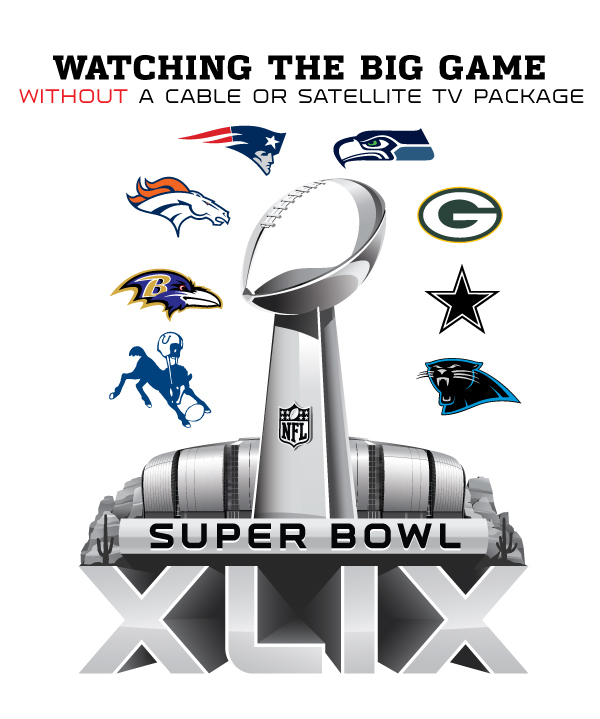 Here are a few options for watching the Super Bowl, Pro Bowl and all NFL postseason playoff games. The NFL will broadcast the Super Bowl live stream along with live streams of the Pro Bowl and all postseason games online at this link. These include the Wild Card playoff games, Divisional playoff games (January 10-11), Conference Championship games (January 18), the 2015 Pro Bowl (January 25) and Super Bowl XLIX (February 1). Fans can also access the playoffs, Pro Bowl and Super Bowl live streams through ESPN, NBC Sports, CBS Sports and Fox Sports. Some of these options might require a login using credentials hooked to at least a minimal cable or satellite subscription, though. 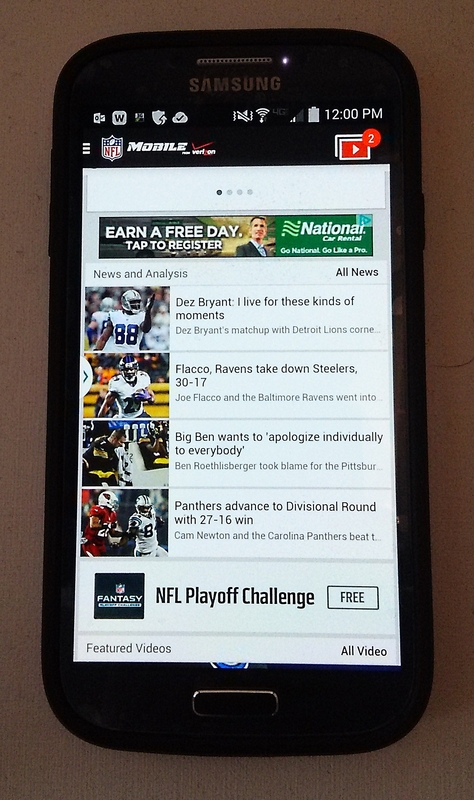 Verizon Wireless customers with a MORE Everything Plan or an NFL Mobile premium subscription can watch all NFL postseason games, including Super Bowl XLIX, using the NFL Mobile app, available for Windows, iOS, Android and Blackberry 10 devices. Data usage for streaming will count against a customer’s monthly data allowance when on the mobile network, so be sure to connect to Wi-Fi for game watching. If you watch TV and movies mostly through a streaming device such as a Roku, you might want to consider a Tablo DVR . Hook Tablo up to an HDTV antenna and an external USB hard drive , and you’ve got a whole home DVR setup for watching and recording free, over-the-air programming, including the Super Bowl on your local NBC affiliate and locally broadcast playoff games. TabloTV lets you access live and recorded over-the-air programming using your computers or compatible Internet TV streaming devices such as Roku. Over the long term, Tablo would cost much less than buying a minimal cable or satellite subscription, which likely runs at least $40 a month when you factor in the required equipment costs. You probably couldn’t get a cable or satellite TV deal that doesn’t make you pay rental on at least one piece of equipment. For example, you can buy an ultra cheap Time Warner Cable TV deal that’ll let you watch programming through Internet-connected devices such as tablets, smartphones, laptops and Rokus, but you also have to rent a set-top box for about $8 or $10 a month in addition to the monthly programming fee. Tablo would set you back about $180, plus roughly $40 for the antenna and $70 for the external hard drive, though you might already have an HD antenna and external USB hard drive you could use with it. If you prefer to enjoy sporting events with a crowd, check around your city to see if any restaurants or bars will broadcast the Super Bowl on their big screens. Many restaurants that do plan to broadcast the the big game for their customers can’t advertise it, since the NFL has been known to sue businesses for trademark infringement if they use the term “Super Bowl” in their ads. Therefore, you might need to call around and ask, starting with sports-themed restaurants and bars. Restaurants are also limited in how large and how many screens they can use for broadcasting the Super Bowl. The NFL could object if an establishment showed the Super Bowl on a screen larger than 55 inches, broadcast it on more than one screen per room or charged admission, even if the fees were donated to a charity.